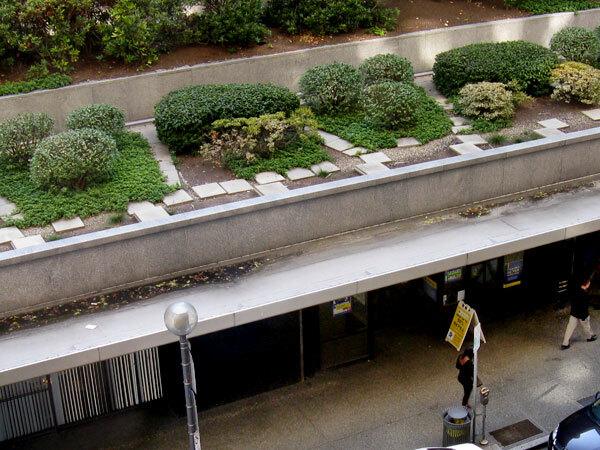 Built in 1955, Mellon Square was the first Modernist garden plaza built over a parking garage. 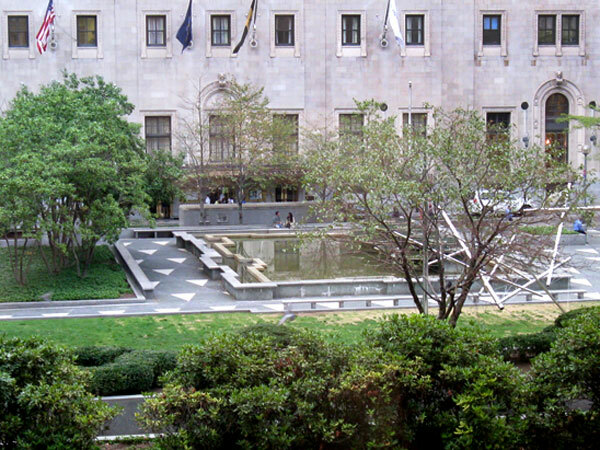 Designed by landscape architect John O. Simonds, of Simonds and Simonds, in collaboration with architect James Ritchey, of Mitchell and Ritchey, the plaza was paid for by the Mellon family foundations and conceived as an oasis, a gathering space in the midst of dense corporate buildings. 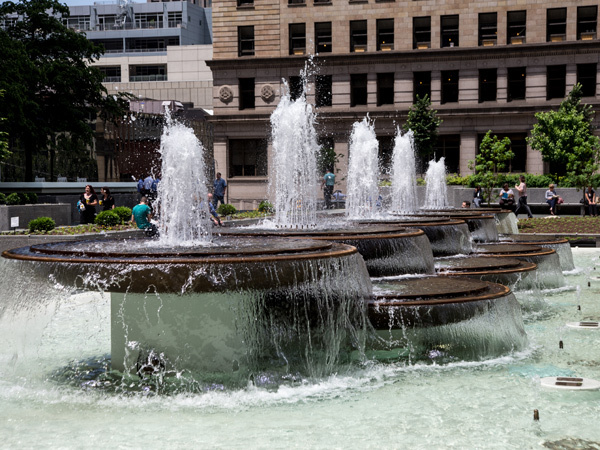 It was a cornerstone of the Pittsburgh Renaissance, an initiative established by the Pittsburgh Regional Planning Association at the end of World War II to transform the industrial downtown area into a modern city of plazas, parks and new corporate buildings. 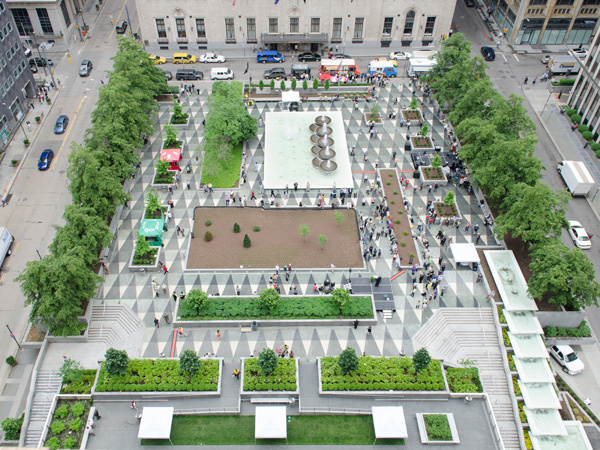 Sightlines from within the park obscure the surrounding streets, reaching across instead to frame the space as a void within the surrounding towers. 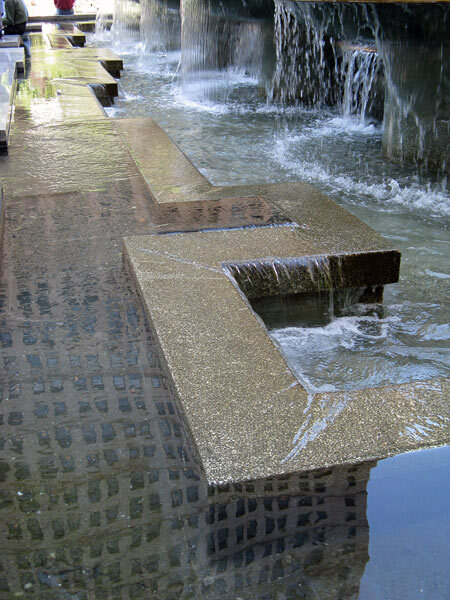 From within the buildings, the harlequin patterned terrazzo of the sizeable plaza played against the tiles and jets of the fountain and with the diamond patterned façade of the Alcoa headquarters building by architects Harrison & Abramovitz. 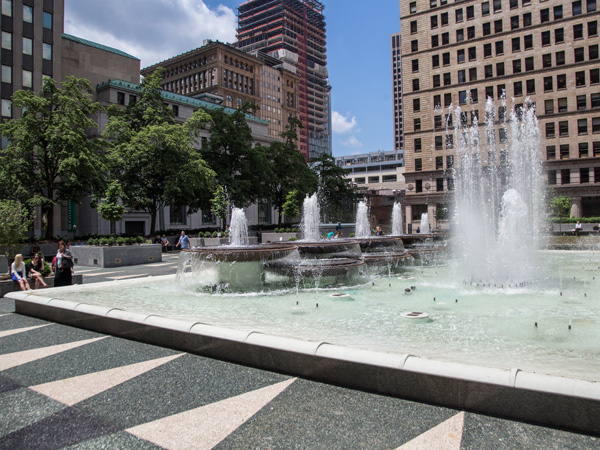 The multi-functional plan and Modernist design has provided Pittsburgh with a vital downtown civic space for over 50 years. 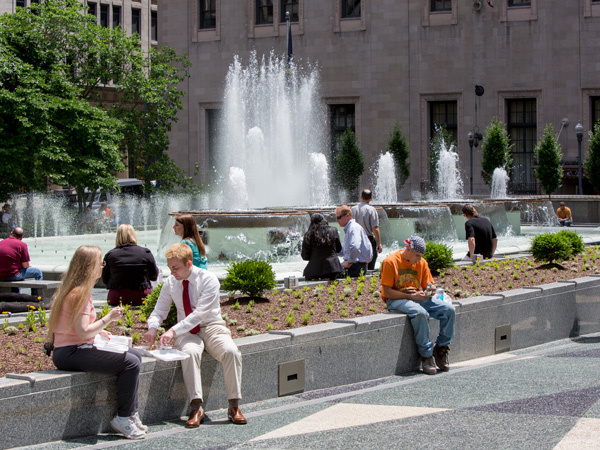 Between 2009 and 2014, the Pittsburgh Parks Conservancy and Heritage Landscapes led a massive revitalization of the plaza which included the restoration of the Cascade and Central Fountains, an updating of the lighting, and the installation of a new terrace based on original designs by Simonds and Simonds. 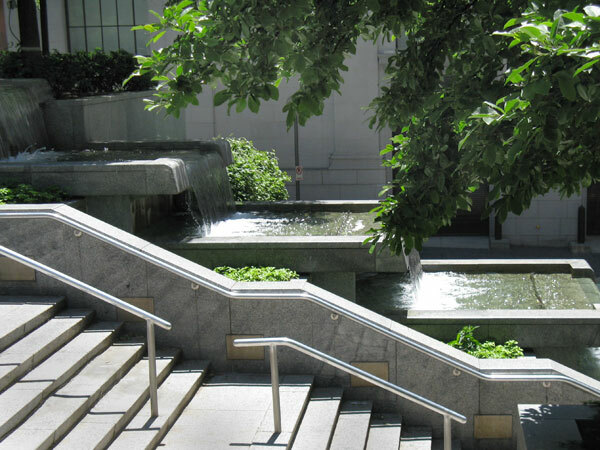 In 2013 the historic district surrounding the plaza was listed in the National Register of Historic Places.